Be a Link in the Chain of Survival! The importance of CPR training cannot be expressed enough, as it is a critical link in the chain of survival for cardiac arrest victims. 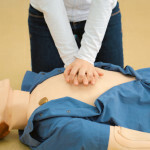 The American Heart Association identifies CPR as one of the links in the Chain of Survival. CPR is a critical link in the chain when responding to emergency situations, and without it, the chain can be cut short and the victim’s chances of survival are drastically reduced. Each link in the chain plays an important role in the revival and recovery of a victim. 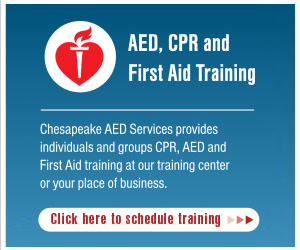 For those that have not received CPR training and are the respondent to a cardiac arrest, you should first dial 911. Once the 911 personnel have helped you determine that the victim is suffering from cardiac arrest, you will then be instructed on how to administer chest compressions.Only recently have 911 dispatch units been instructed to inform callers on how to perform chest compressions. This has resulted in quicker care being provided to the victim and the revival rate of cardiac arrest patients has increased. 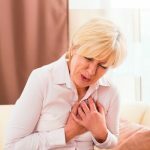 Forgot How to Perform CPR?